The Marlins had their bats explode last year. The Marlins first, second, and third baseman along with shortstop, Hanley Ramirez, hit at least 29 or more home runs. Last season was pretty good for them as they had two all-stars in Ramirez and Dan Uggla. Flordia finished third in the East only five games behind the Mets. Right now the Marlins are five and one. The rest of the season will be a different story though. Flordia made the first trade of the offseason when they traded Mike Jacobs to Kansas City for Leo Nunez. They traded Scott Olsen and Josh Willingham to the Nationals for speedster Emilio Bonifacio. Then they traded closer, Kevin Gregg to the Cubs for minor league pitcher Jose Ceda. They signed relief pitcher Scott Proctor. Other wise all the Marlins did was cut payroll. The Marlins biggest problem is their defense. Dan Uggla has a bat but has absolutely no glove skills. Hanley Ramirez is a pretty slick fielder but not the best. Rookie center fielder, Cameron Maybin though has a small chance to win a Golden Glove. Jorge Cantu is an average fielder at first. Emilio Bonifacio will end up being a huge steal for the Marlins as he is fast and has a good glove. Bonifacio could be the next Mike Lowell but Lowell has more power and Bonifacio has more speed. Right fielder, Cody Ross made one error in 133 games last year but this year has all ready made an error. The Marlins have a pretty bad bullpen led by closer Matt Lindstrom who is just above average. Leo Nunez is okay and in two games has given up two runs, one home run, and three hits. Offseason signing Scott Proctor is on the fifteen day D.L. Andrew Miller could become a good starting pitcher but will stay in the bullpen unless an injury. Hayden Penn looks like he could have a good year for the Marlins. Overall though the bullpen stinks. The Marlins have a good offense but it is a step down from last year. Hanley Ramirez, Jorge Cantu, and Dan Uggla hit 94 home runs last year. This year Baseball Prospectus projects them to hit a total of 77 home runs and I totally agree with that. Hanley Ramirez will hit less home runs but will improve his batting average this year. Dan Uggla will hit 30 home runs but that will be about it. He will bat around .250 and drive in only 75. Jorge Cantu will have a big drop in home runs only hitting twenty home runs. The Marlins rotation is promising but is not there just yet. People say your only as good as your weakest link and the Marlins weakest link threw a no hitter in his rookie season. More on him later though. Rick VandenHurk pitched for the Netherlands in the World Baseball Classic and is now on the fifteen day D.L. Chris Volstad is unproven but I believe he could have a good year. Ricky Nolasco also could have a good season this year. I think he will win seventeen games with a 3.25 ERA. Josh Johnson could join the elite pitchers (Cole Hamels, C.C. Sabathia, Josh Beckett, Roy Oswalt, etc.) this year and I believe he can. yet Johnson will not I see Johnson winning twenty games with a 3.50 ERA maybe as soon as 2011. This year he will win eleven games and lose six with a 3.75 ERA. However Baseball Prospectus sees Johnson going eight and eight with a 4.10 ERA in 2009. It does predict that he will be come the Marlins’ ace though. Anibal Sanchez pitched a no hitter in his rookie season but last year only pitched in ten games due to injuries and surgery. This year I see him going eight and seven with a 4.30 ERA. Sanchez could become the next Jon Lester. Sanchez just needs to work a little more and can also become an ace. Just a few years ago the Marlins had the best pitching staff in baseball with Ryan Dempster, A.J. Burnett, Brad Penny, Josh Beckett. Today Dempster is with the Cubs, Burnett is with the Yankees, and Beckett and Penny are with the Red Sox. All are with big market teams. Like most small market teams they get good players and then once they are good they leave for money. Nolasco, Johnson, VanderHurk, and Sanchez will probably do that. The Marlins will be taking a step back this year due mostly to the economy but they are going to be around for a while but for the next few years Florida will be watching baseball in October. Also I am sorry for my lack of comments lately. I have been very busy lately. I know Cob is starting a fantasy baseball league so I thought for all you first timers I thought I would give you some tips. When drafting your team try to draft great players on average or great teams. The Mariners lost 101 games in 2008 year. In 2007 years ago they won 88 games. In 2007 Felix Hernandez won 14 games an in 2008 he won nine and lost 14. For pitchers run support is key. A baseball team with great sluggers and average pitchers will do fine. In 2007 the Tampa Bay Devil Rays won 66 games. In 2008 the Rays won 97 games. Every single one of their pitchers did better because of run support. When drafting sluggers you can afford to break this rule for a really good player. Playing on a better team for a slugger means more runs, RBI’s, and a higher on base percentage. You get more runs because people will drive you in more. You get more RBI’s, because more people will be standing at third base. Lastly you will get a higher on base percentage because if a pitcher walks someone they will then have to face a better hitter next. Lets use the Mariners and the Rays again. In 2007 Ichiro hit had 111 runs, 68 RBI’s, and a .396 on base percentage. In 2008 he had 103 runs, 42 RBI’s, and a .361 on base percentage. Akinori Iwamura, of the Rays had 82 runs, 34 RBI’s, and a .359 on base percentage in 2007. In 2008 he had 91 runs, 48 RBI’s, and a .349 on base percentage. Sure his on base percentage dropped by .010 but he had a much better year. When you drafted players on good teams their confidence is higher which means a better year most of the time. So my list of teams I would draft from are the Blue Jays, Red Sox, Yankees, Rays, Twins, White Sox, Indians, Angels, A’s, Rangers, Braves, Marlins, Mets, Phillies, Astros, Cubs, Reds, D-Backs, Giants, and Rockies. I don’t plan on drafting any one from the Rays or Yankees though. Also I left the Brewers and Cardinals off for two reasons their pitchers and the fact that their not that heathy. Tom Glavine a low risk high reward player said he felt good after throwing of the mound for the first time since elbow and shoulder surgery in August. Glavine is a local guy according to Julia (Julia your “dream” came true) over at Julia’s Rants. Glavine’s longtime teammate John Smoltz recently signed with the Red Sox. Glavine, a free agent, made thirteen starts last season. He went two and four, with 37 strikeouts, and a ERA 5.54. Tom Glavine is 42 years old. Glavine is a sure first ballot hall of famer he has 305 carer wins, an ERA of 3.54, and has 2,607 strikeouts. 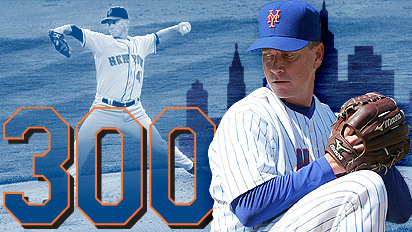 Glavine has played twenty-two seasons with the Braves on two different occasions and the New York Mets. He has won twenty games five times. While Glavine is a great player and I am sure he would love to go to the Red Sox, but Boston already has eight starters in Josh Beckett, Jon Lester, Dice-K, Tim Wakefield, Brad Penny, Smoltz, Clay Buchholz, and Michael Bowden. Smoltz though could come out of the bullpen and I think Clay could too. As for Bowden he’ll come up from AAA in mid-season. He would probably cost a around the amount of Smoltz and is better. Am I saying that I would rather have Glavine then Smoltz? No, Smoltz will not pitch till June but he can be a starter or come out of the bullpen which I wish every pitcher could. Glavine will should sign with a team with young pitchers, the Rays, Twins, A’s, D-Backs, Reds, Pirates, Brewers, Nationals, Marlins, or maybe even the Padres. he also could resign with the Braves who have signed Derek Lowe and Kenshin Kawakami. The Braves also traded for former Chicago White Sox, Javier Vazquez. Vazquez is listed as the Braves ace on Braves.com don’t get that one. I would put my money on the Brewers or the Braves. The Brewers lost C.C. Sabathia to the Yankees. Ben Sheets, the other Brewers ace is still on the market. One game I would love to see, Red Sox vs. Brewers, Jon Smoltz vs. Tom Glavine, at Fenway Park. First- Sorry for the cheesy title. Second- Sorry I didn’t blog yesterday. I was studying for a big test in science and had a basketball game, we won! Third- B.J. Upton may miss opening day for the Rays. Fourth- The Rays signed Gabe Gross. Fifth- The Marlins are interested in Chad Cordero. Sixth- The Brewers officially signed Trevor Hoffman. Seventh- John Smoltz officially signed with Boston. Eighth- Andruw Jones is close to leaving the Dodgers. Ninth- Bartolo Colon is close to going back to the Chicago White Sox. Tenth- My Celtics have won three in a row! Eleventh- Cox Communications, a TV station in San Diego, got a new play by play guy for the Padres. Guess who it is??? My Godfather, Mark Neely!!! I’m not kidding, I swear. 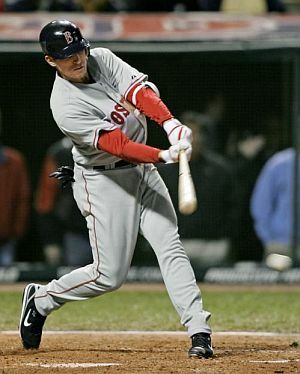 Yesterday the Atlanta Braves signed former Boston Red Sox, Derek Lowe on a four year deal. 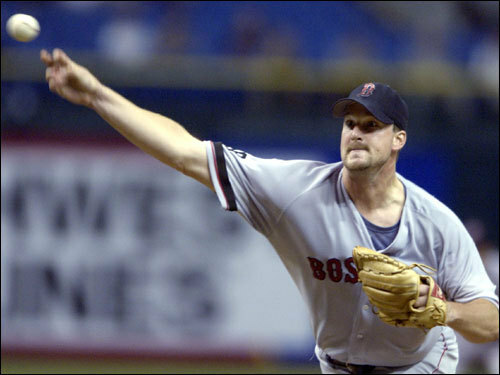 I know some of my readers hoped that Derek Lowe would sign with the Red Sox. I thought he would sign with the New York Mets. The sinker baller was formerly with the Los Angeles Dodgers. The same day Boston officially signed former Atlanta Brave legend John Smoltz. The Braves now have a great rotation featuring of Lowe, Javier Vazquez who they traded for this offseason, Jair Jurrjens, Kenshin Kawakami, and the fifth spot is open to Tim Hudson who had tommy john surgery last year, Jorge Campillo, Jo-Jo Reyes, Charlie Morton, and James Parr. It will probably be Tim Hudson. The Braves are now interested in a power hitting right fielder to start and not Matt Diaz. They could also move Matt Diaz to centerfield. The Braves want Xavier Nady or Nick Swisher who are both on the New York Yankees. Nick Swisher hasn’t played a game with the Yankees because he was traded from the Chicago White Sox this offseason. Nady was with the Pirates then got traded to the New York Yankees in midseason. Swisher is under contact till 2011 while Nady will probably become a free agent at the end of the 2009 season. I think the Braves will trade for Swisher. I think the Yankees will want one or two minor leaguers and maybe Josh Anderson or Manny Acosta. The Braves will probably try to put a starting pitcher in there since they have nine. The deal will probably include Acosta though, because the Yankees have more “power.” If I was the G.M. of the Braves I would do the deal.